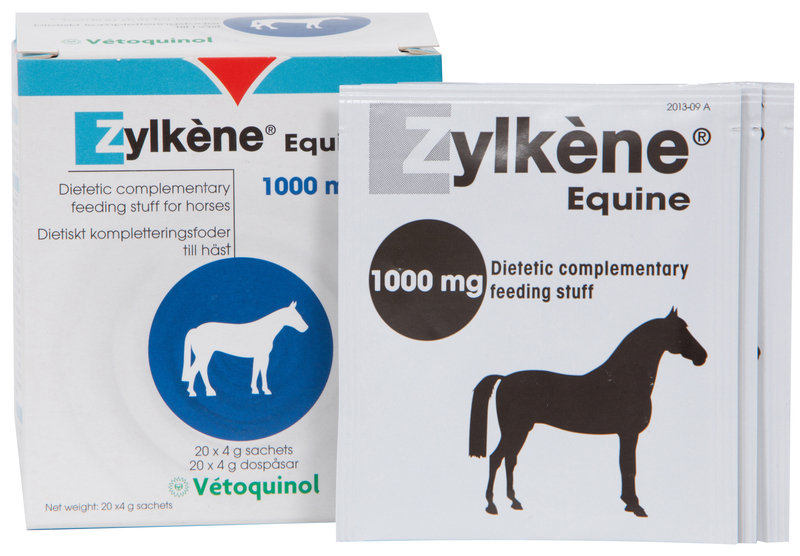 Zylkene Equine is an apple flavoured powder that is effective at reducing stress. Perfect for vet / farrier / dentist visits, competitions, travelling, new environments, box rest or training. It can also be used long term for chronic behavioural problems. Zylkene Equine contains the milk protein casein, so is a natural product. It comes in easy to give sachets, with 20 sachets in a box.